Asian football politics can be as full of intrigue as those in any other confederation, more so perhaps, given the variety of cultures, languages and people that make up the Asian Football Confederation (AFC). It has been a tumultuous 18 months for the AFC. In 2011, Mohammed Bin Hammam, who took the presidency in 2002 and presided over a period of progress and prosperity for the continent, decided to challenge Sepp Blatter for the FIFA presidency in May of that year. The election never happened. 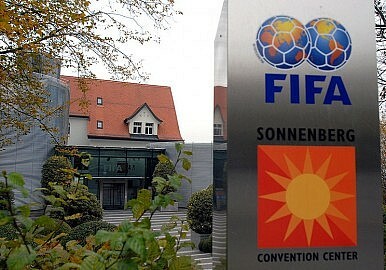 Just days before, Bin Hammam withdrew from the race after being accused of buying the votes of members of the Caribbean Football Union. He was subsequently suspended from football for life by FIFA’s Ethics Committee. That obviously meant that he not only had no chance of unseating Blatter, an increasingly divisive figure in the world of football due to a series of corruption scandals at FIFA and some off-the-wall comments such as women footballers should wear tighter shorts, it also meant Bin Hammam lost the AFC presidency. He is appealing the FIFA Ethics Committee ruling and there is some sympathy for the figure as not all are convinced that this committee was impartial. In a bid to clear his name, Bin Hammam took his case to the Court of Arbitration for Sport in Lausanne, Switzerland in April. It was expected to rule in a few days. In private Bin Hammam accepted that his career at the AFC was over and claimed that even if he cleared, he would not seek to return to his former post. But just in case he was seriously thinking about it, the AFC suspended him for a period of 30 days pending investigation. In an official statement the body said that a year-long audit had revealed infringements regarding bank accounts and contracts. The matter has been referred to the body’s disciplinary committee. Since Bin Hammam has been fighting to clear his name, the AFC has been under the stewardship of Zhang Jilong. The Chinese administrator has presided over a quiet period since taking the hot seat just over a year ago. It is likely that an election will be held once Bin Hammam’s fate is known for sure. Zhang would be the frontrunner but is likely to be challenged by West Asian rivals. The heads of the UAE and Bahrain football associations have already publicly announced their desire to stand. Yusuf al-Serkal of the UAE will be battling with Sheikh Salman bin Ebrahim Al-Khalifa to unite the western vote. Salman is a member of the Bahraini royal family which has been criticised for brutally suppressing anti-government protests in 2011 and 2012. The controversy could count against him. If recent events are any indication, there are sure to be a few more twists and turns before it is all played out.